The XGameStation™ Pico Edition 2.0 is based on the technologies of its bigger brother the XGameStation™ Micro Edition. However, the Pico Edition is a more simplified unit that you assemble yourself! 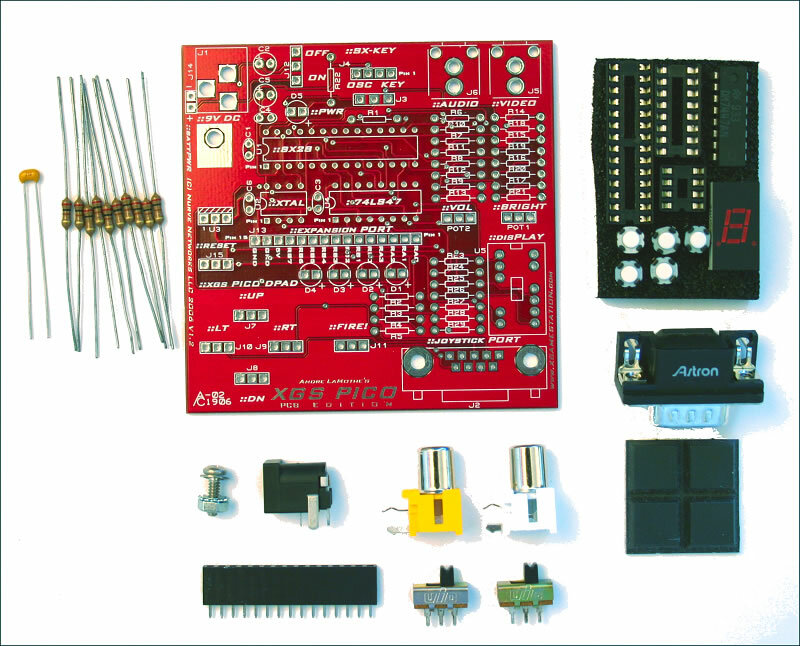 The XGS Pico Edition 2.0 comes with both the XGS Pico Edition 1.0 solderless breadboard and parts as well as the Pico PCB Add-On Kit, so it's two kits in one! 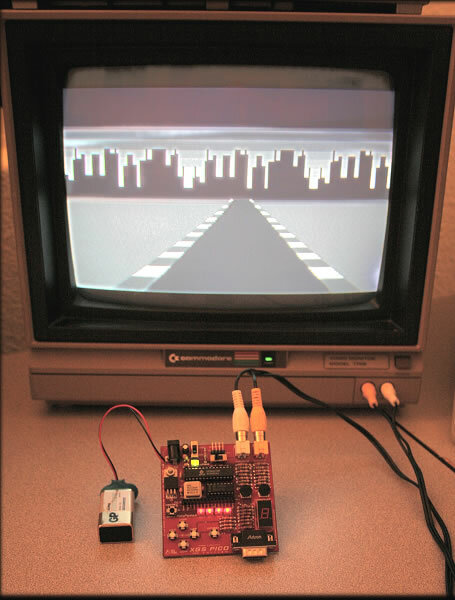 After you build the solderless breadboard version then you can solder your unit together and have a completely portable embedded game system that you can re-program. The complete assembly instructions, architecture, and programming of the Pico Edition comes with the kit on CD as Chapter 11 and 12 of "Design Your Own Video Game Console". The Pico Edition may be simple, but it packs a punch with a Ubicom SX28 microcontroller running at a blazing 80.000MHz. Additionally, the PCB version of the Pico Edition that you will solder together has a 7-Segment readout, 15-pin interface, A/V jacks, and a built in Directional Gamepad, for a completely portable mini-game console. "The Black Art of Video Game Console Design" is written for the programmer and/or hobbyist interested in software game development, but also wants to understand the hardware games are implemented on.This book assumes no prior knowledge of Electrical Engineering or Computer Architecture, but takes you on a breathtaking journey from atomic semiconductor theory to the design and construction of basic video game consoles that you can build and write your own games for! Included in the book is the entire design of numerous embedded game systems including the XGameStation Pico Edition 1.0 (kit included). Basic atomic physics and semiconductor theory primer. 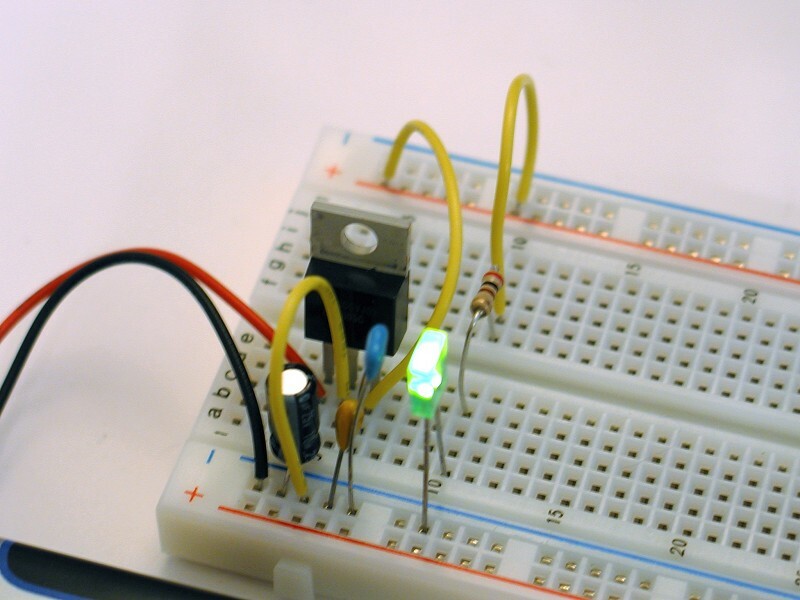 Introduction to circuit analysis; current, voltage, and resistance. 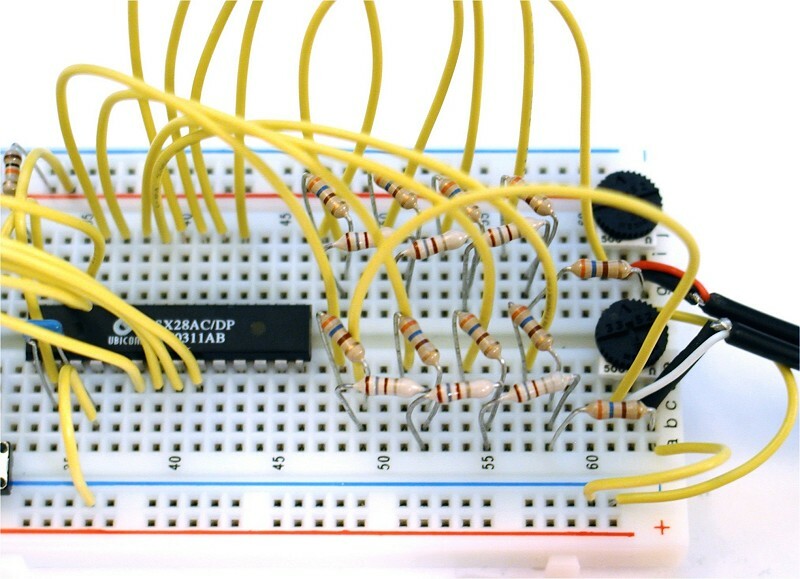 Analog design using discrete components. Digital electronics and Boolean algebra. Physical hardware construction and prototyping techniques. 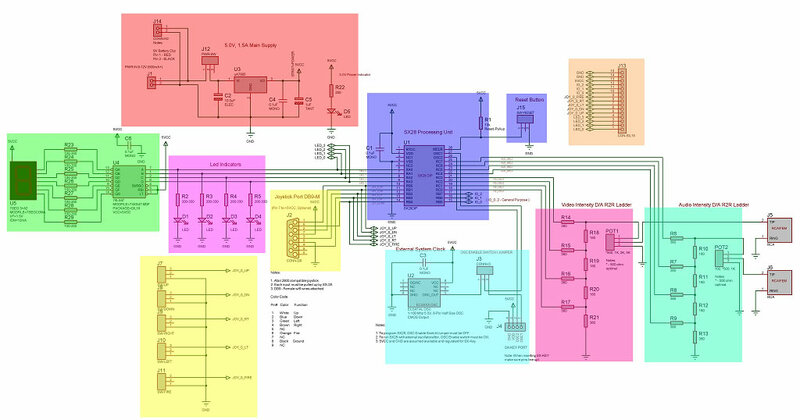 Combinational logic and advanced integrated circuit building blocks. 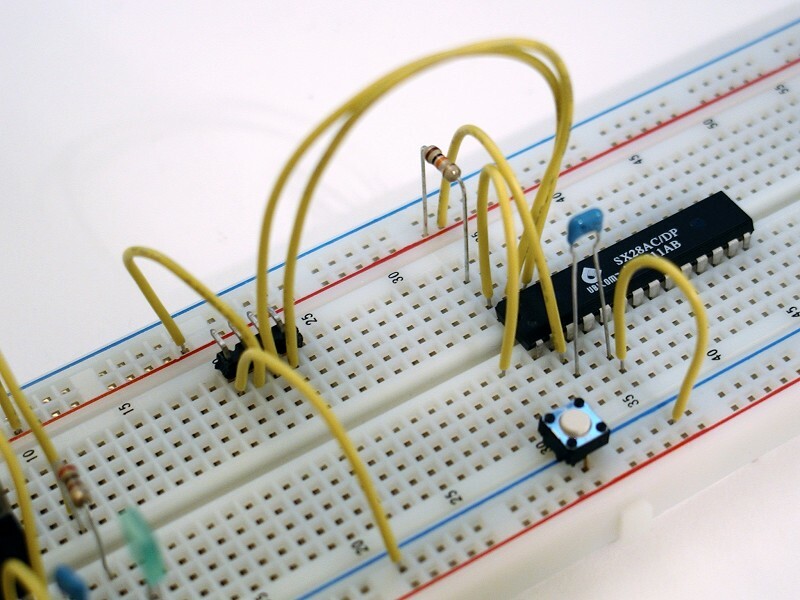 Understanding and using microprocessors and microcontrollers. 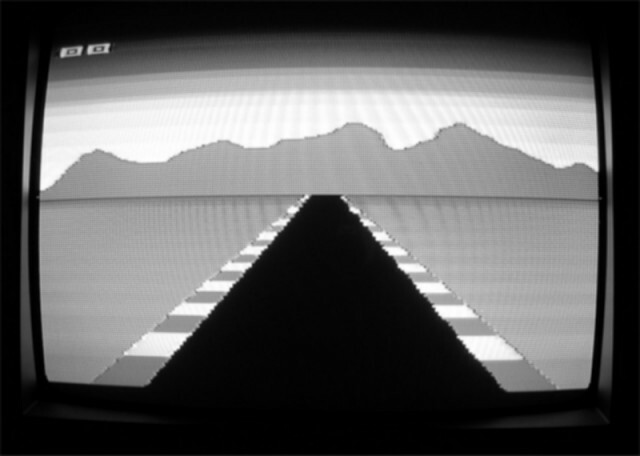 Designing video (NTSC/VGA), audio, and input device systems. 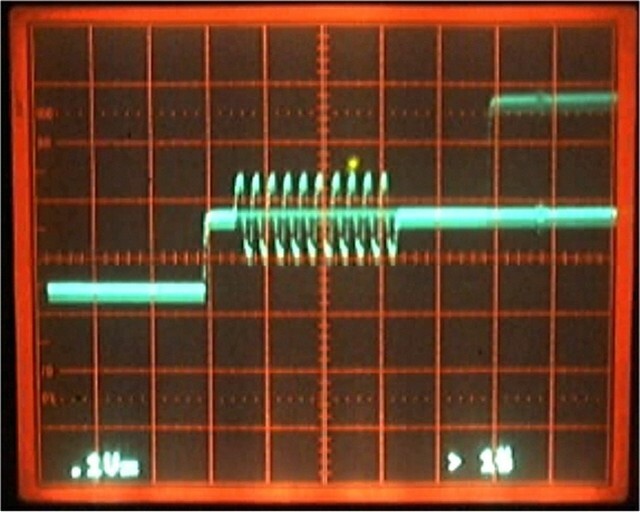 The complete design and discussion of the XGS Game Consoles. Includes a complete eCopy of the best seller Tricks of the Windows Game Programming Gurus. eBooks in Adobe Acrobat PDF format. PCB and circuit simulation tools. 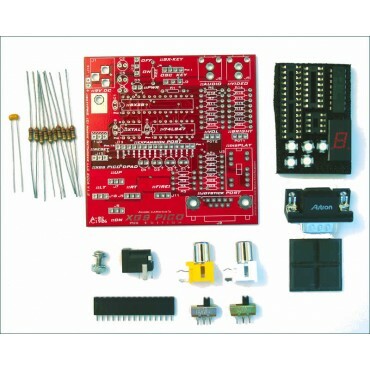 Complete designs to numerous embedded systems including the XGS Game Consoles. 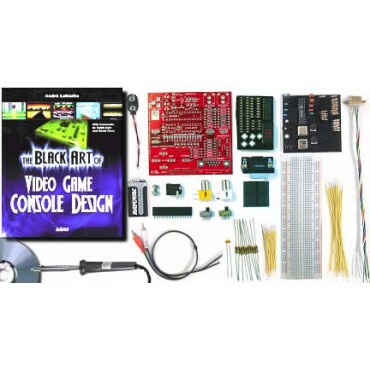 "Lesson 9 - XGS Pico PCB"
"Lesson 8 - XGS Pico PCB"
The Game Console Starter Kit is the ultimate resource for getting you started with game console development. 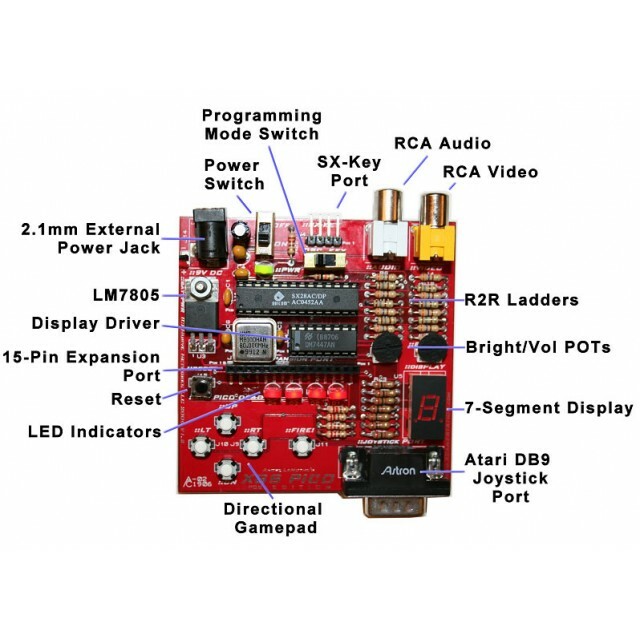 The kit includes everything you see including the XGameStation™ Pico Edition 2.0 Kit which includes both the solderless and PCB version of the XGS™ Pico Edition. Also included in the kit is a hardcopy of the one of a kind book "The Black Art of Video Game Console Design" written by André LaMothe. 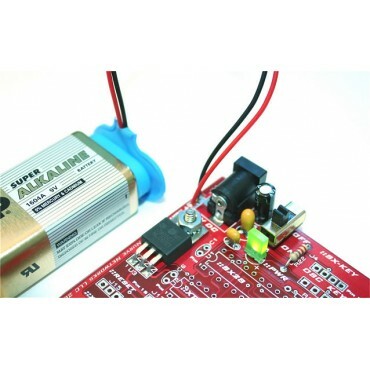 Optional 9V DC power supply, programming hardware, and cables can be purchased separately. The XGameStation Pico Edition 2.0 is based on the technologies of its bigger brother the XGameStation Micro Edition. However, the Pico Edition is a more simplified unit that you assemble yourself! 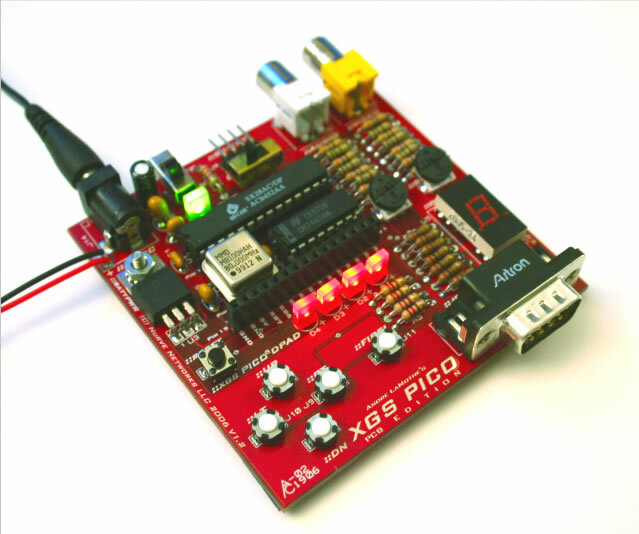 The XGS Pico Edition 2.0 comes with both the XGS Pico Edition 1.0 solderless breadboard and parts as well as the Pico PCB Add-On Kit, so it's two kits in one! 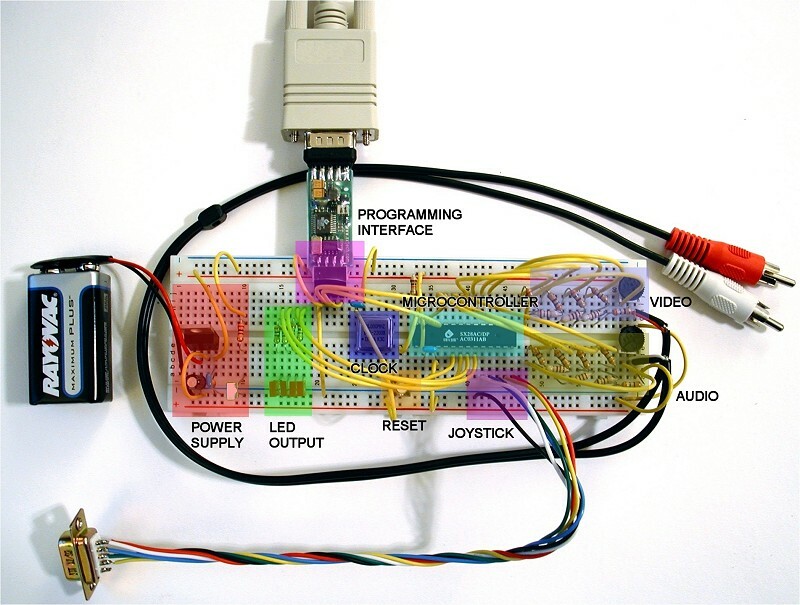 After you build the solderless breadboard version then you can solder your unit together and have a completely portable embedded game system that you can re-program. 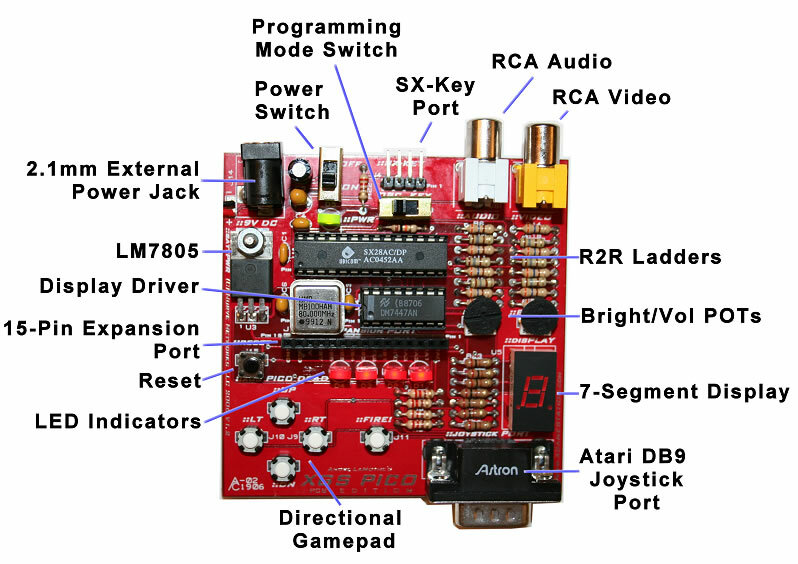 The complete assembly instructions, architecture, and programming of the Pico Edition comes with the kit on CD as Chapter 11 and 12 of "Design Your Own Video Game Console". 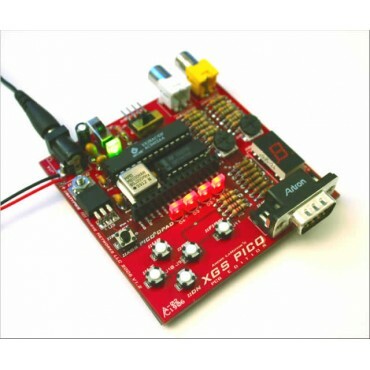 The Pico Edition may be simple, but it packs a punch with a Ubicom SX28 microcontroller running at a blazing 80.000MHz. Additionally, the PCB version of the Pico Edition that you will solder together has a 7-Segment readout, 15-pin interface, A/V jacks, and a built in Directional Gamepad, for a completely portable mini-game console. "The Black Art of Video Game Console Design" is written for the programmer and/or hobbyist interested in software game development, but also wants to understand the hardware games are implemented on. This book assumes no prior knowledge of Electrical Engineering or Computer Architecture, but takes you on a breathtaking journey from atomic semiconductor theory to the design and construction of basic video game consoles that you can build and write your own games for! Included in the book is the entire design of numerous embedded game systems including the XGameStation Pico Edition 1.0 (kit included). • Basic atomic physics and semiconductor theory primer. • Introduction to circuit analysis; current, voltage, and resistance. • Analog design using discrete components. • Digital electronics and Boolean algebra. • Physical hardware construction and prototyping techniques. • Combinational logic and advanced integrated circuit building blocks. • Finite state machine design. • Computer architecture and design. 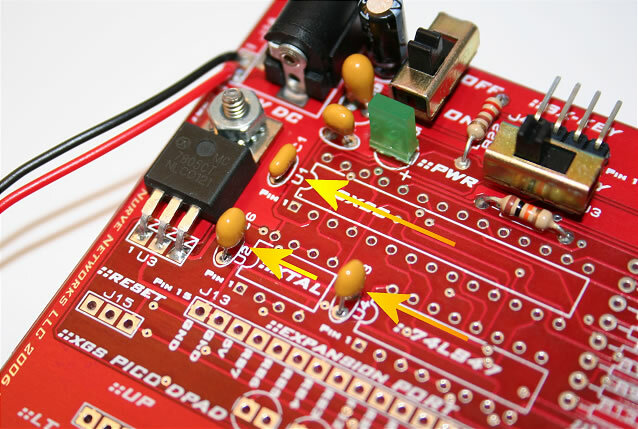 • Understanding and using microprocessors and microcontrollers. • Developing software for embedded systems. 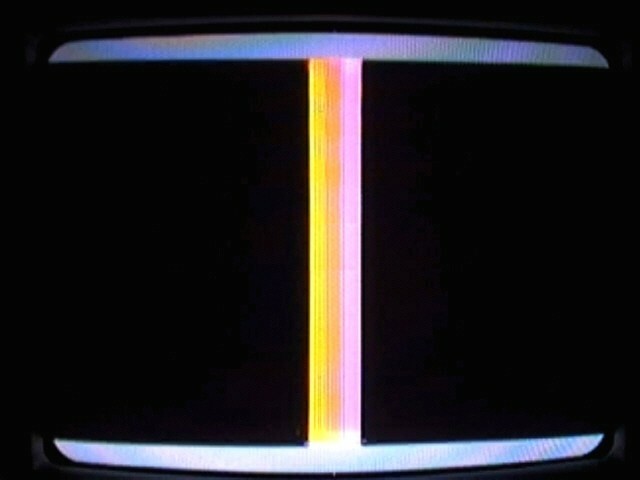 • Designing video (NTSC/VGA), audio, and input device systems. • The complete design and discussion of the XGS Game Consoles. • eBooks in Adobe Acrobat PDF format. 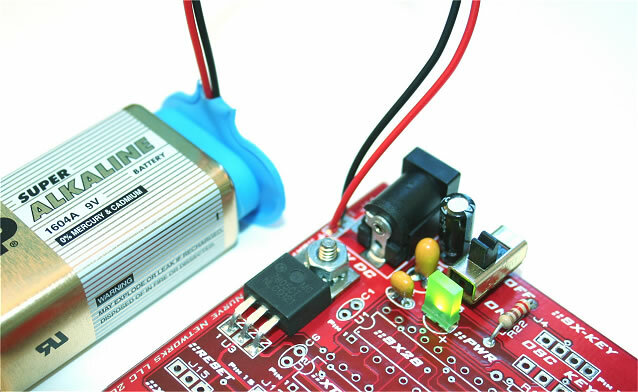 • PCB and circuit simulation tools. • Demos and source code. • Complete designs to numerous embedded systems including the XGS Game Consoles. Hardcopy of "The Black Art of Video Game Console Design", including CD. XGameStation Pico Edition Kit 2.0 including CD and complete assembly instructions. Entry level soldering iron (plus solder) to solder together the PCB version of the XGS Pico Edition.